News from the Mercersburg Association - NEW! Community and Justice Issues - NEW! Prayers and Devotions - NEW! As we begin to share some information from our Associations, we hope that you will feel the strength of community as well as witness some great ministry and mission at work. We are created in this world to be socially interactive, to be able to connect and communicate (listening and talking) with the people around us. God calls us into the world, to be present and participate in community and through relationships in and around the rest of the world. It is my belief that while this is a common understanding for people, and we understand the impetus placed before us, that sometimes we still fall short when it comes to making connections. Life gets busy, things occur in our lives that cause us to forget to stretch out ourselves, to be in communion and relationship with people around us. The first is that we have formed sub clusters within the associations defined county lines (geographic regions). While we have regularly schedule meetings for clergy to gather, it also seemed prudent to arrange for smaller groups of people to meet in order that people might feel more supported and better linked. A second plan is to have churches partner together to engage in specific activities. Whether it is a pulpit exchange, a gathering of churches to look at a specific topic, or a collection of churches engaging in a service project, all of these efforts can lead to new and strengthened affiliations. We continue to live and grow from these attempts and efforts. There is always work to be done in this world that God has created for us. Taking steps that will build up the Realm of God is something we all need. Along with the usual expected objectives of worship, prayer, mission and outreach, we need to be relating with one another in loving and constructive ways. May we do our part to build up our respective communities, this day and all days. 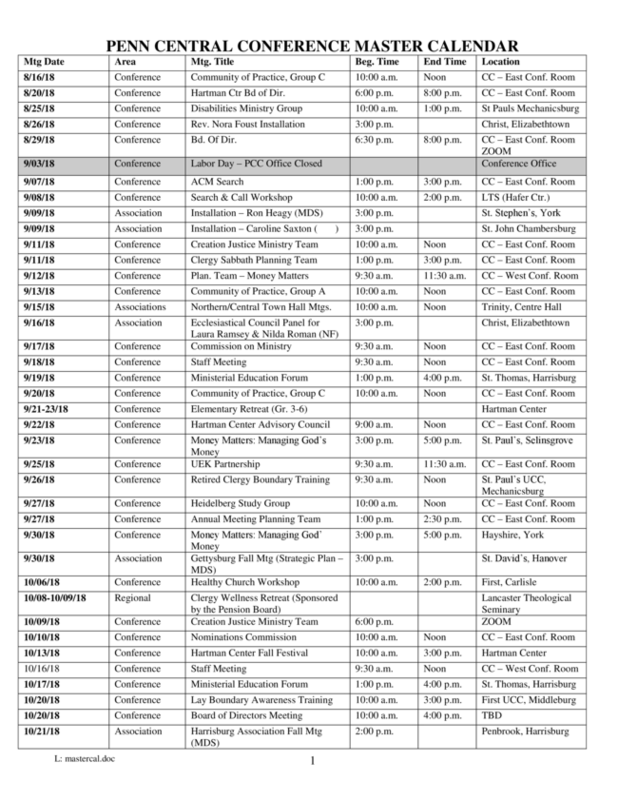 These fall events are offered at Free or nominal charges thanks to your OCWM gifts. Click on the blue links to register today! When Pastor Tim Hogan-Palazzo arrived at West Milton two years ago, average church attendance was 20. It's currently 82 and the surprising thing is the socio-economic and political diversity of the congregation. Tim will be sharing some of the innovative things he's done toward "being the church" and growing his congregation. Trinity UCC, Waynesboro will be celebrating its 200th anniversary in November with a variety of events. On Saturday, November 17th, they will be hosting a concert by Essence of Joy Alumni Singers at 7:00 PM. See poster for details. The Essence of Joy Alumni Singers are from Penn State University under the direction of Dr. Anthony T. Leach and they will perform sacred and secular music from the African and African-American choral traditions. On Sunday morning, November 18th at the 10:45 worship service, Rev. John C Dorhauer, General Minister and President of the United Church of Christ, will deliver the message for the morning and communion will be celebrated. All are welcome to join us. 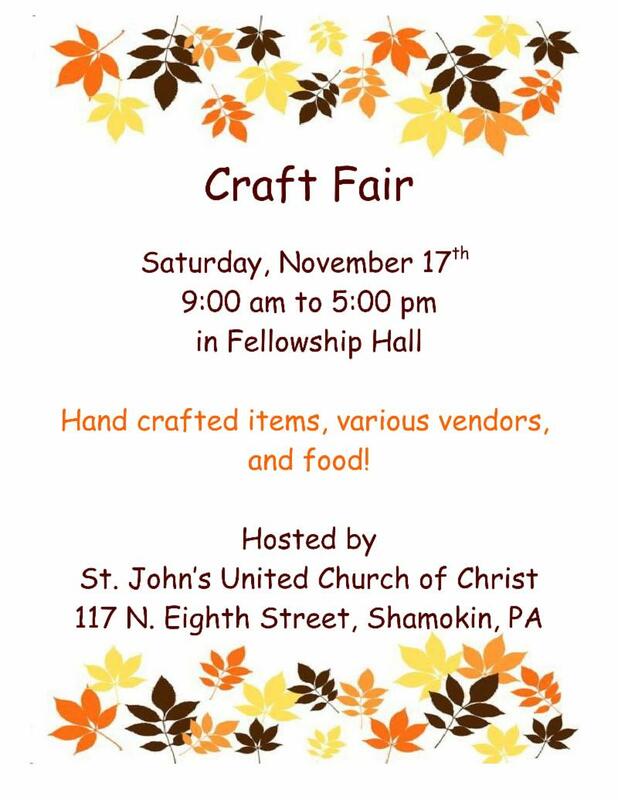 Hand craft items, various vendors and food! How do we in our organizations lay a solid foundation around our stewardship practices while also being willing to challenge ourselves and those entrusted to our care to expand our imaginations? That's the challenging work to which I believe we are called. So this fall and into next year, I challenge you to try something new: ask members to increase their giving, take a portion of your budget to give away to another ministry, let donors young and old tell their story. But by all means, let's expand our stewardship imaginations and take a risk because it's stewardship season! Read more in It's Stewardship Season. Take a Risk! Ellen and William Matten, delegation members from St. John's UCC in Boalsburg, signed up because they realized how important knowledge of the wider church is to local church members. "We came on the trip because we must," said William Matten. "We have discovered that it is important that we reach out to our fellow man so that we might learn who we are; so that we might better understand the world that we live in." Ellen Matten concurs. "Our prayers are for understanding what we don't understand, and to be an example for our children, grands and church family - and to share what we have experienced with them." Sign-up to receive monthly notices about upcoming webinars that feature speakers who will assist churches in learning about best practices for ministries related to caring for God's creation. Each webinar will have a focus pertaining to one of the four areas of discernment for Creation Justice Churches: theology and worship, institutional life and practice, circles of awareness and advocacy, and connections to a broader movement. Participation in the Creation Justice Churches program is not required to join a webinar. UCC's Date with Nature Photo contest : Submissions are to capture one's love of God's creation. Pick out your favorite and be prepared to share about it as a possible source of inspiration, renewal, or reflection in our climate ministry. Rev. John Dorhauer will be attending Mercersburg Association ministerium on November 19th. This event is open to the entire conference. Clergy are invited to come to the Penn Central Conference Office on November 28, 2018 from 9:30 AM - 12:00 Noon to enjoy breakfast, worship and workshops themed around advent. To Register for the event. Please also register for a workshop - PEACE, LOVE, HOPE, JOY. Beginning in 2018, we have created a prayer list to invite you to pray with us as we pray for all of our congregations. Each week we will list names of various churches in Penn Central Conference hoping you will add them to your prayer list, and hold them in prayer throughout the week. 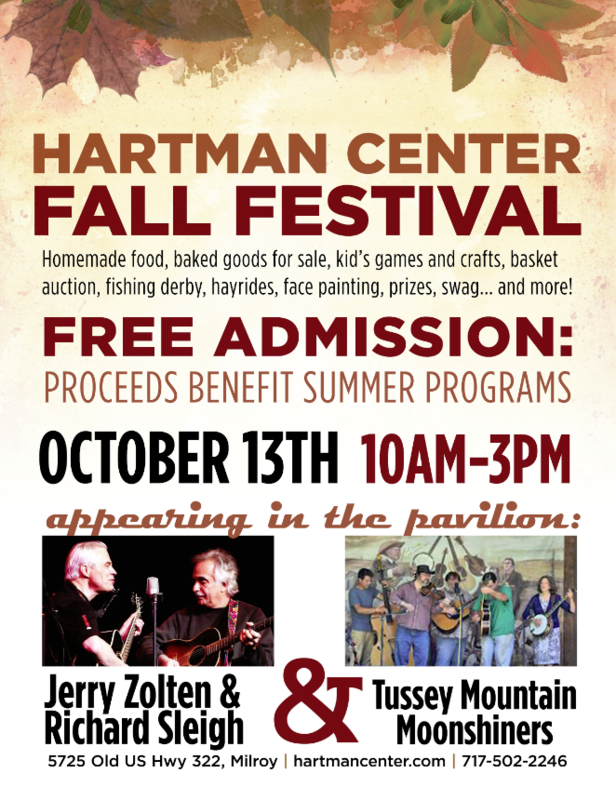 HARTMAN CENTER FALL FEST - This Weekend! 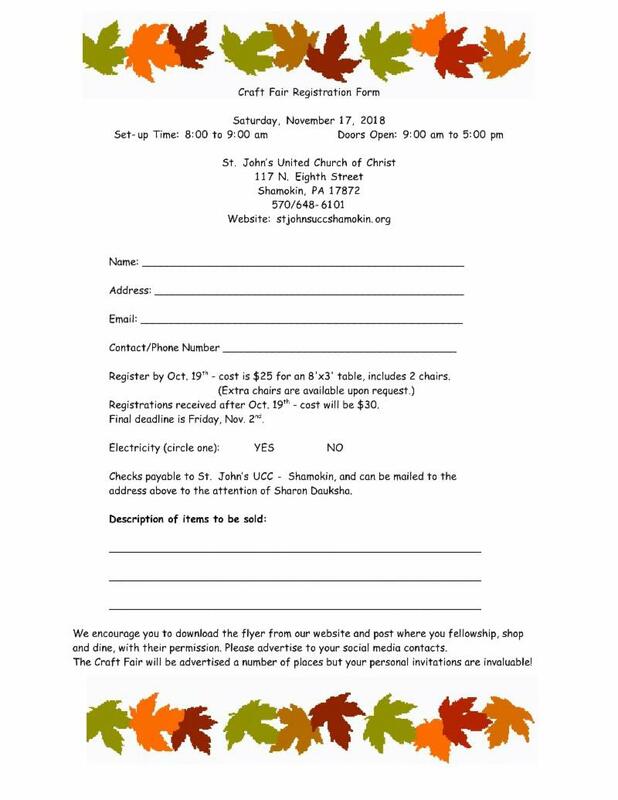 If you're attending a retreat: Registration Form and Permission SlipThis is the form you send to us one week prior to your participation in a retreat. Medical Form This is the form you send to us one week prior to your participation in a retreat. We must have this form for all participants. Spring Confirmation Retreat - March 15-17 -- please contact Patty if your church is interested in participating. May 7-9, 2019 Hartman Center Work Weekend! More details on the Hartman Center Web site! Salem UCC, Harrisburg is look for a church secretary. For details.